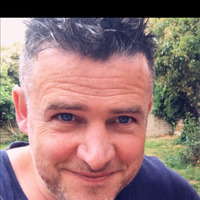 To ask Stuart James questions, please sign up. Stuart James Taking a story from scratch and developing it, being completely in charge of the characters and then making the story exciting. Its great doing that. I'd like to say a massive thank you to everyone who has followed my profile here on Goodreads. Also, to everyone who has purchased and reviewed my new thriller, Turn The Other Way. Last week, Turn The Other Way reached number 1 on Amazon UK, USA and Canada in Horror Fiction. It also went to number 1 in Horror on Barnes & Noble, Apple Books and Kobo in Horror. We’d love your help. Let us know what’s wrong with this preview of Tamer Animals by Justin M. Woodward. "Hellllloooo new favorite! 5 well-deserved stars. I'm so happy with this book I could cry. We’d love your help. Let us know what’s wrong with this preview of Turn The Other Way by Stuart James. "Read this over a couple of days as it was so hard to put down. Lots of plots intertwined and plenty of suspense which kept me guessing throughout. Looking forward to reading more by Stuart." " Thanks so much Marie for reading and reviewing my new thriller. ❤❤❤ Thanks so much Marie for reading and reviewing my new thriller. I’m so glad you enjoyed my new thriller. Thanks so much for reading and taking the time to review. 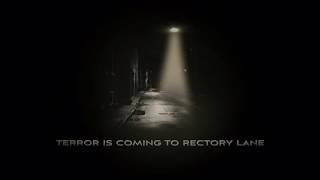 Trailer for my new terrifying thriller, The House on Rectory Lane. Due for release this December.